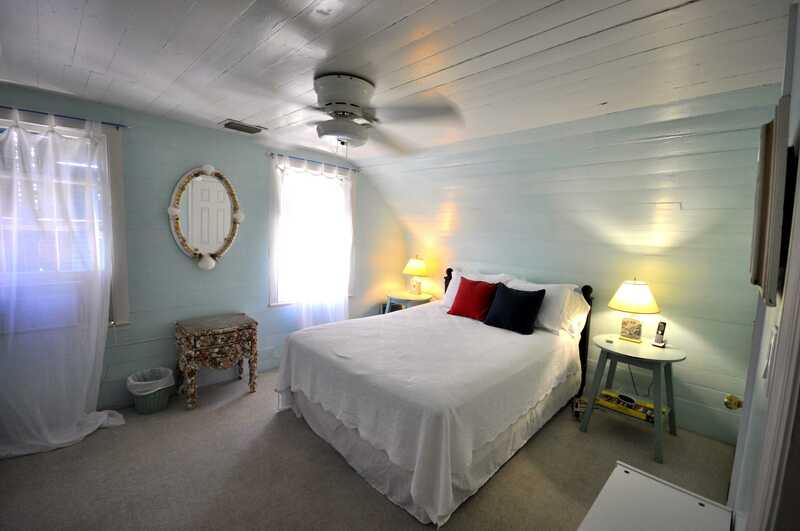 28 Day Minimum rental: Want to saunter through the historic streets of Key West and live like a local in a quiet, Old Town residential neighborhood? Look no further than Elizabeth Retreat. Just two blocks from Duval Street, it is a quick walk or bike ride to all of Key West's attractions, including the Historic Seaport area. 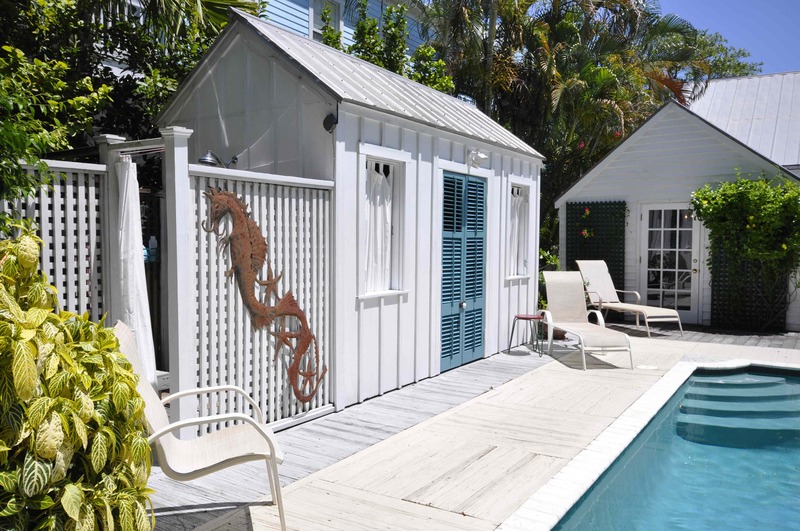 This is an lovingly restored "eyebrow" style home that is listed on Key West's Historic House Registry. This home has three bedrooms: one bedroom on ground floor with a queen bed and full bath, while upstairs there are two bedrooms, one with a queen bed and the other with two twin beds. A large deck surrounding the pool has an outdoor dining table, lounge chairs and a seating area conveniently located just outside the French doors. The large sparkling pool with waterfall enhances your island experience; the ambient background sound of gently falling water combined with the neighboring tropical bird sounds at Nancy's Secret Garden make for a delightful island experience. We stayed at the house next door and having seen this house tried to rent it. After three years of trying it finally became available for the month of March. The house is old and needs some updating, as does some of the furnishings. 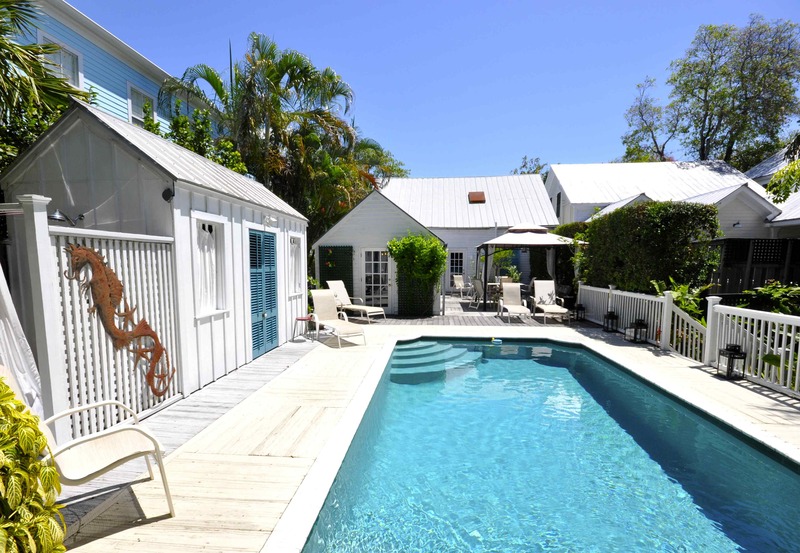 However, it is well equipped and met all of our needs.The pool and patio area is the best we have experienced in the 20 years we have been renting properties in Key West. There is no better location for activities, sights and restaurants. Over the years we have rented through several rental agencies. Rent Key West is absolutely the best rental agency with whom we have dealt. No other agency comes close. This place was nearly perfect. The location is wonderful. We were in walking distance to practically everywhere we wanted to go. The house is lovely and comfortably decorated. I loved that we had so many different seating areas - inside and out. The kitchen was nicely furnished and cooking was easy, The pool was wonderful and the backyard felt secluded. Only a few minor complaints: the pool heater did not warm the pool water; (Fortunately, the weather and water warmed up without the heat.) the parrot rescue next door was sometimes loud; (They bothered my husband more than me. I thought it was funny when one of the birds kept whistling when I came out in my swimsuit. ); the steps to the second floor were steep and it did not stay as cool up there. Minor complaints I merely point out so you know about them in advance. I thoroughly enjoyed our stay and would definitely stay there again. 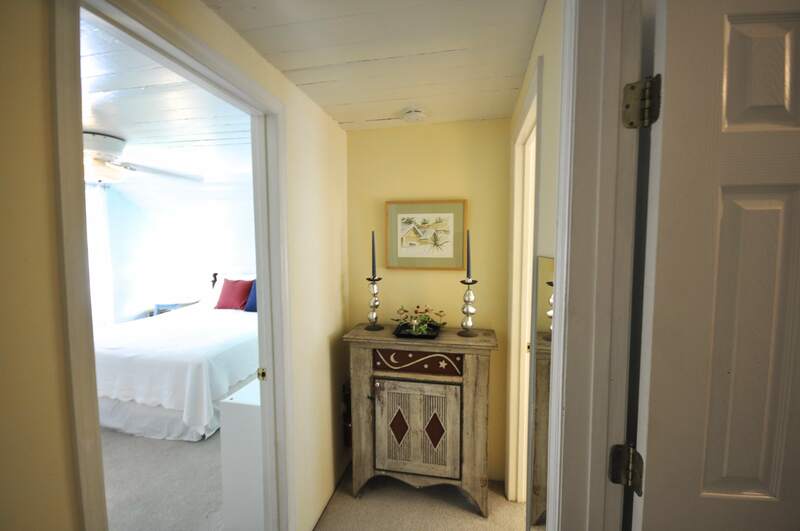 Property is ideally located, two blocks from Duval & three from the Key West Bight. And, wonder of wonders, it has off-street parking! 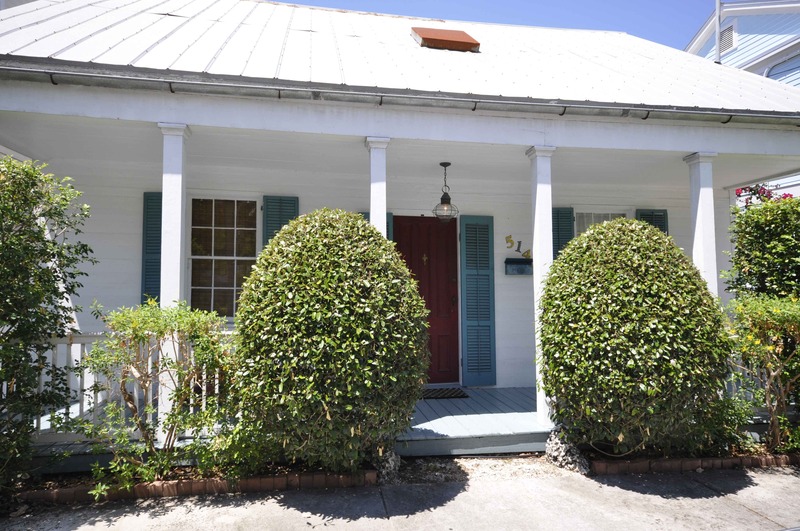 My only complaint is that the little "house" where the washer and dryer are located needs some attention to the shutters, which are falling apart. 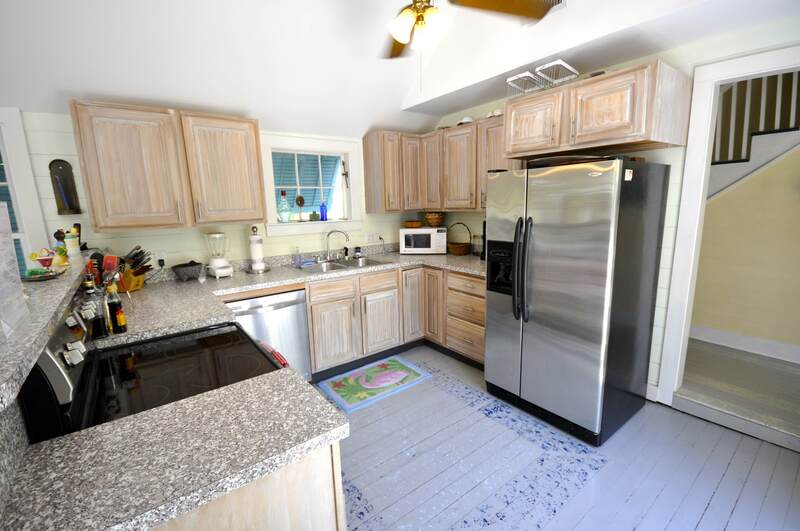 Great location; fabulous pool area and outdoor space; very cozy Key West interior! We loved the decor, privacy of the pool area and LOCATION!!! 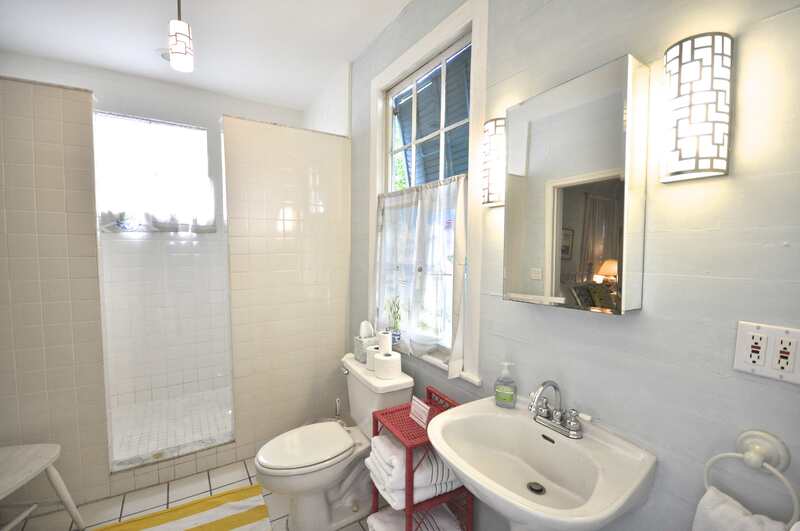 The rental company calls this the "Elizabeth Retreat" and they're absolutely right. I hesitate to go on and on because I want to stay there again. However, let me just say a few words about Rent Key West Vacations. They are absolutely fantastic! I've rented from several firms over the last twenty or so years and they are by far the best. Pleasant, professional and quick to respond to any problems, I would not hesitate to recommend them.